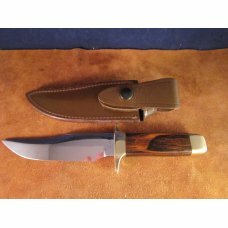 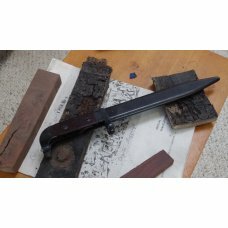 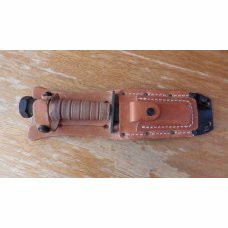 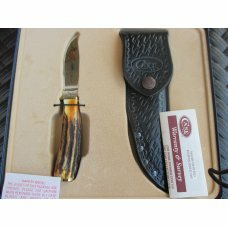 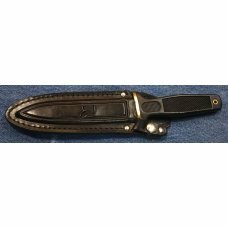 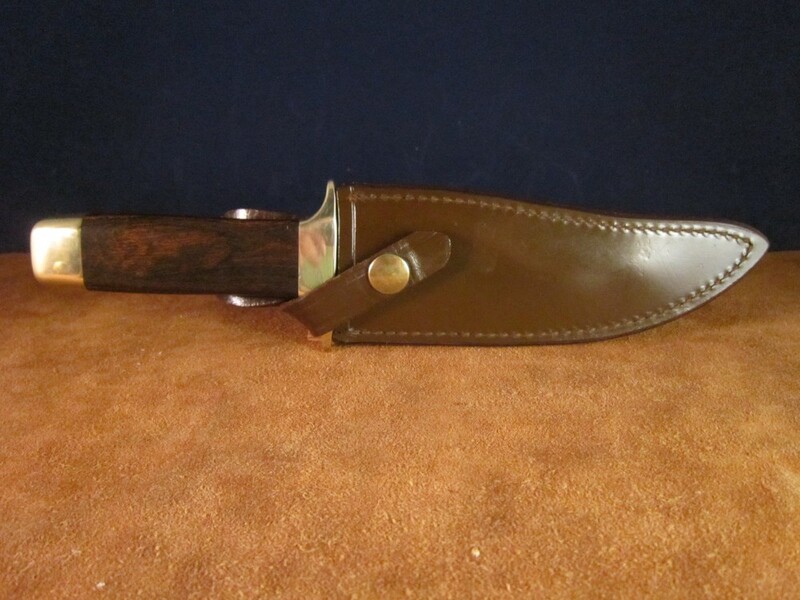 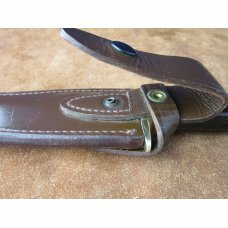 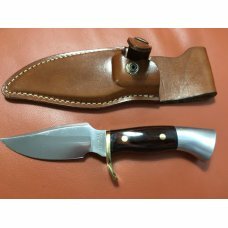 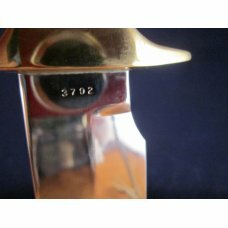 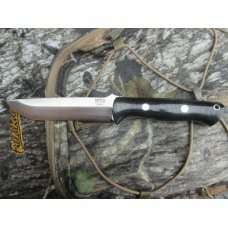 Item # 31682 : 1974 S&W Bowie Knife Model 6010- serial #3702. 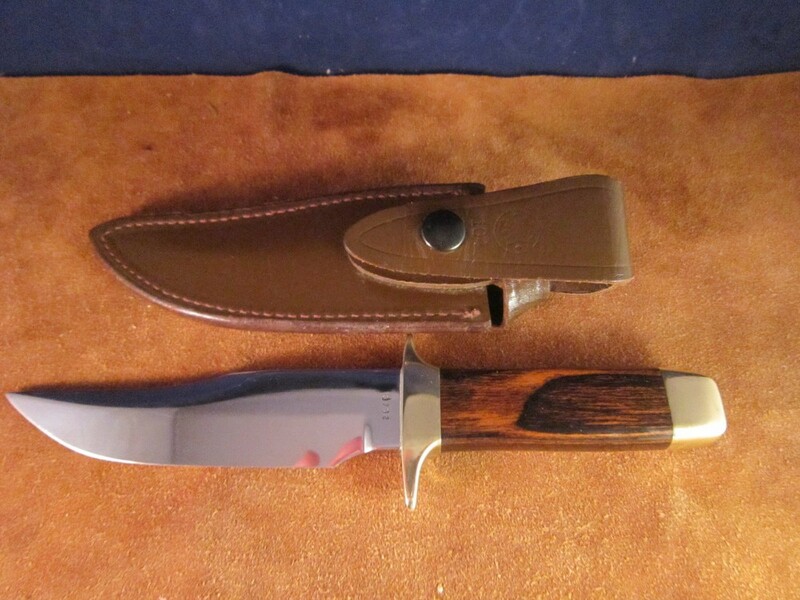 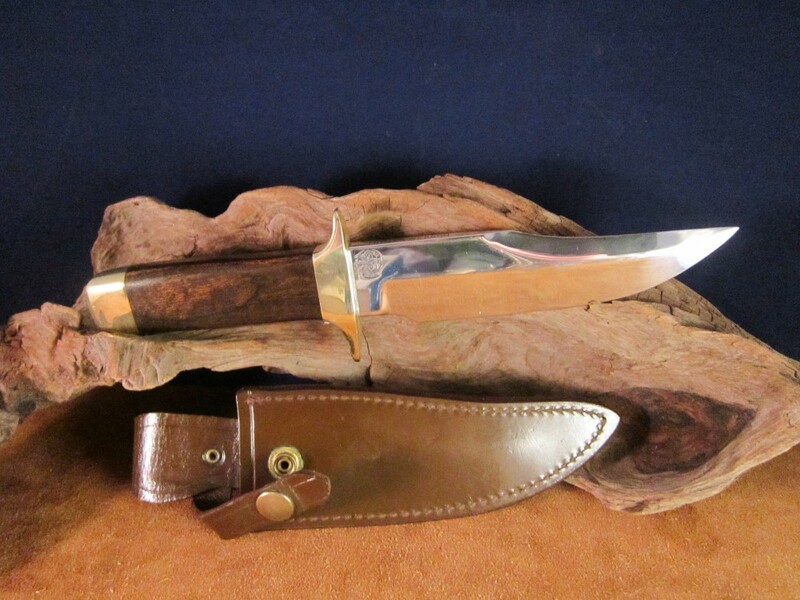 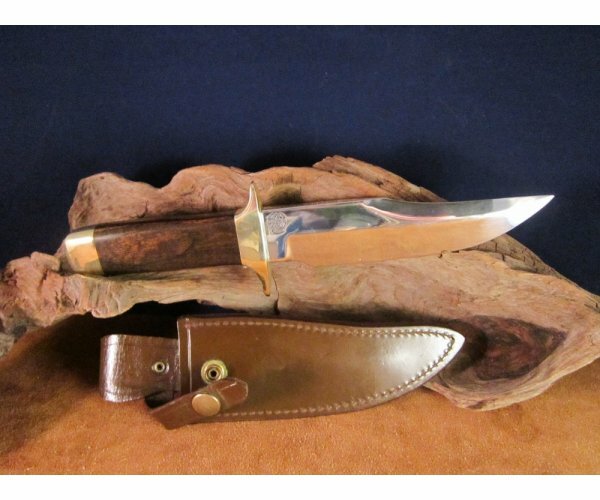 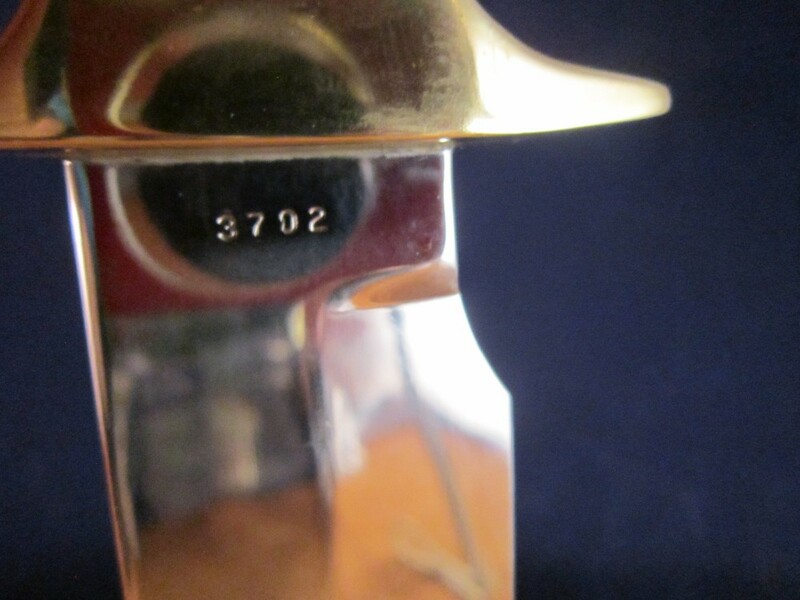 1974 S&W Bowie Knife Model 6010- serial#3702. 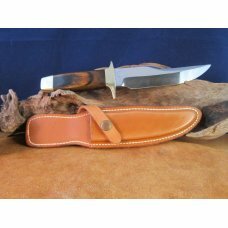 The blades were forged from modified 440 Series Stainless Steel. 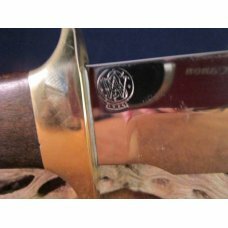 A total of 47 operation from forging to hand polishing are performed on the blade before fitting to the handle on the Survival knife. 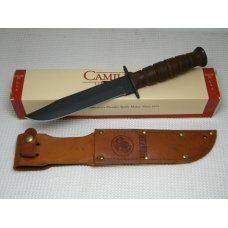 The amount of work necessary for these knives caused S&W to fall behind on production and delivery to the retailers. 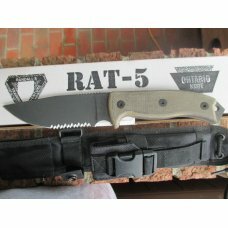 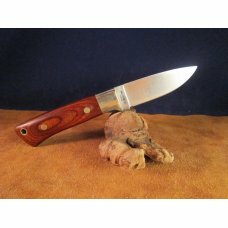 Smith and Wesson produced in house a few other knives but none that required the amount of hand fitting as this series. 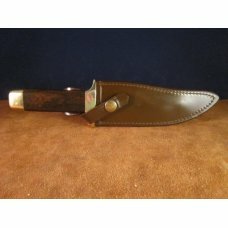 The most beautiful knives S&W ever produced in house. 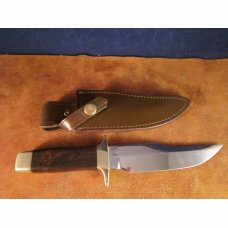 This is model 6010 the Bowie Knife which is a traditional Bowie Style blade configuration with similar shaped sharpened false edge. 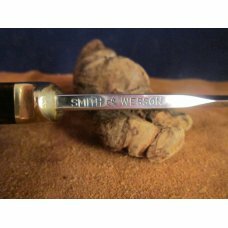 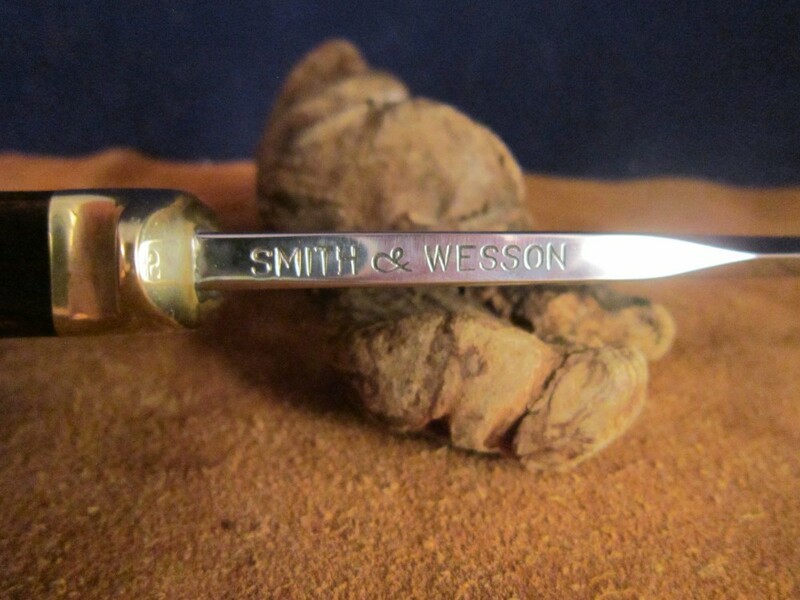 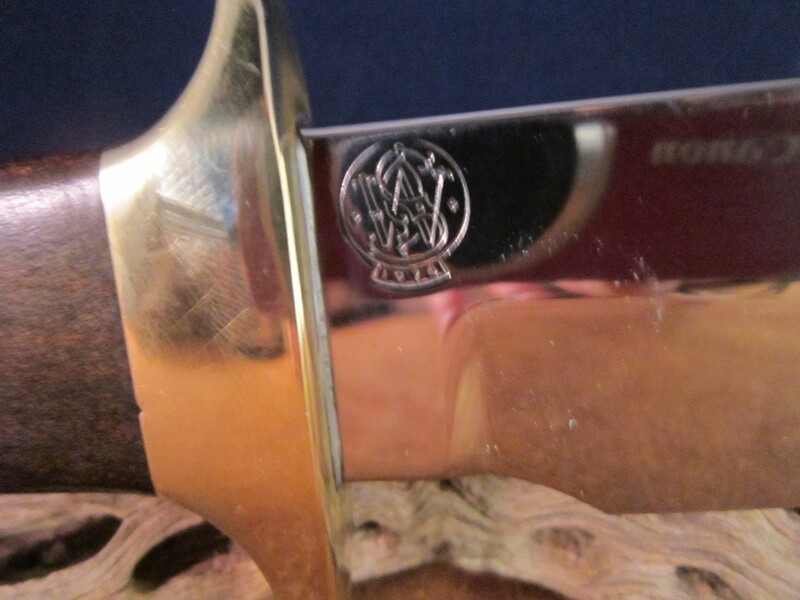 The Wessonwood handle is blended smoothly with the double quillion brass guard and pommel. 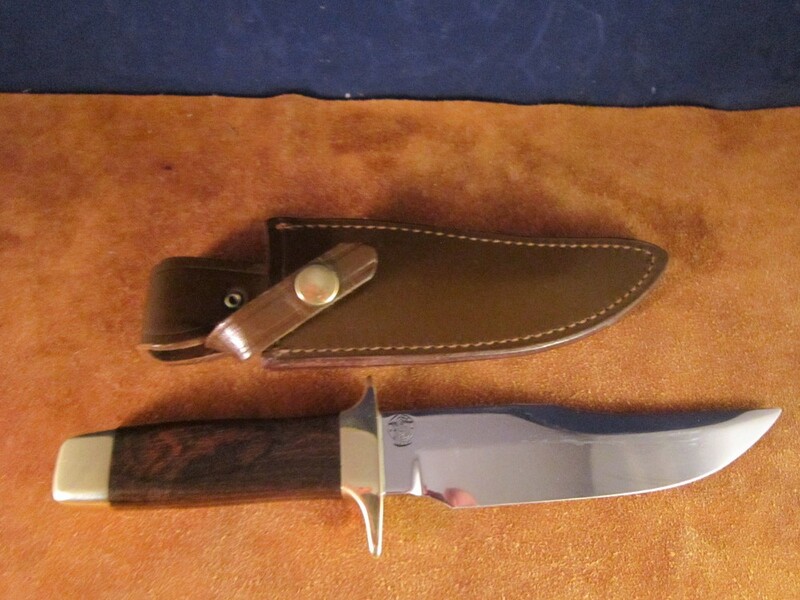 The Bowie has a 6” blade, 10” overall and weighs 13 oz. 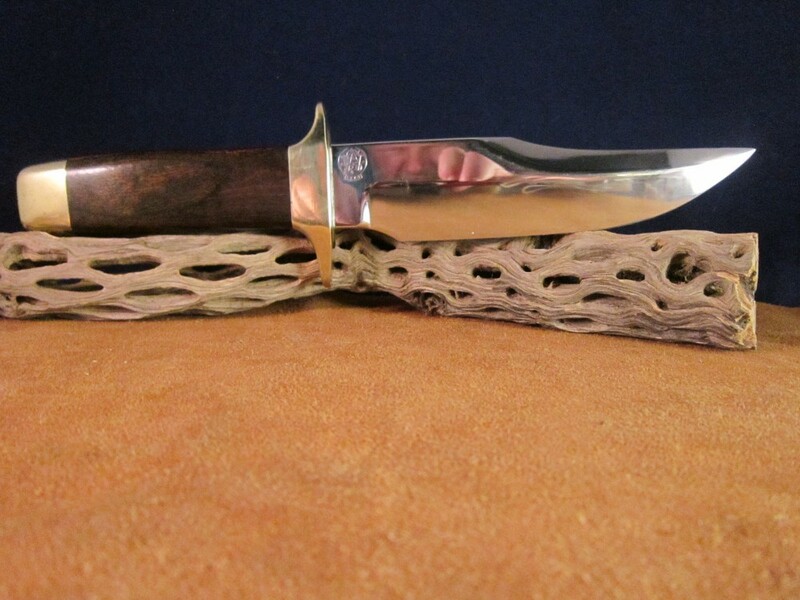 This knife was stored in the sheath protecting the blade, the blade appears close to perfect. 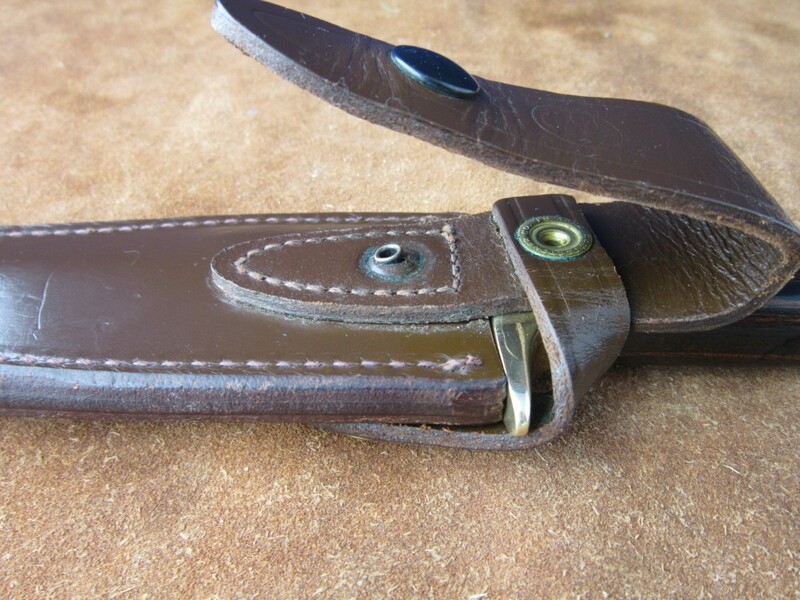 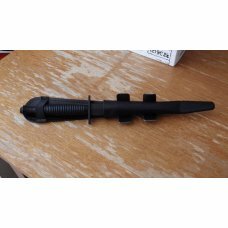 The sheath would be mint, however the snap on the belt flap has pulled off. 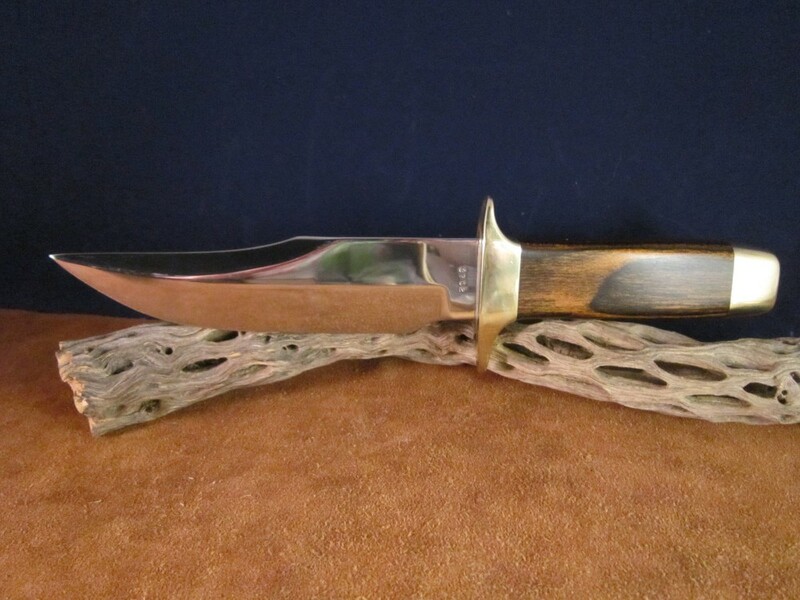 This knife was produced in 1974. 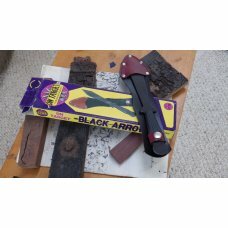 No Box. 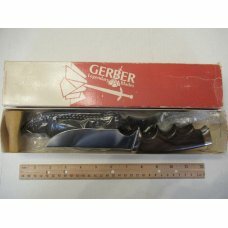 *You must be 18 years of age or older to buy this item. 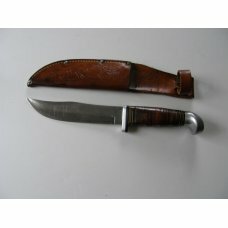 The Buyer represents that this item will be used in a lawful manner and is of legal age. 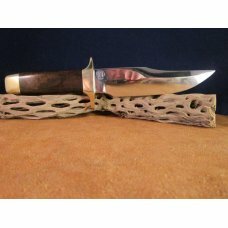 Seller is not responsible for Buyer's misuse of this item. 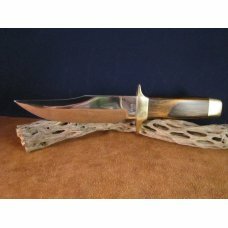 It is the responsibility of the Buyer, not the Seller, to obey all applicable local, state, federal, and international laws in regards to the purchase, possession and use of this item.